Sage 50 is globally accepted software that showcases potential features that helps in the smooth running of the business. The software offers easy interface that does not require any technical expertise to handle the software. The recent update of the software has brought many significant changes in terms to tax filing and preparation. Please go through the below details for the comprehensive details Sage 50 2018 tax update. The 2018 social security wage base elevated to $128,400. Retirement Plans Limits: The 2018 retirement plan limits altered from 2017. Flexible Medical Spending Account Limit: The 2018 amount increased to $2,650. Adoption Flexible Spending Accounts Limit: The 2018 amount increased to $13,840. Alaska Employee State Unemployment Tax: The 2018 wage base limit decreased. California State Disability Insurance: The 2018 withholding rate and wage base limit changed. California State Income Tax: The 2018 withholding formula and wage base limits changed. District of Columbia: The 2018 standard exemption limit changed. Hawaii Temporary Disability Insurance: The 2018 wage base limit increased. Illinois State Income Tax: The 2018 standard exemption limit changed. Maine State Income Tax: The 2018 withholding formula and wage base limits changed. Minnesota State Income Tax: The 2018 withholding formula and wage base limits changed. New Jersey State Disability Insurance, Unemployment Insurance and Family Leave Insurance: The 2018 rate for Disability Insurance changed. The taxable wage base changed. New York State Income Tax: The 2018 withholding formula and wage base limits changed. New York City Local Income Tax: The 2018 withholding formula and wage base limits changed. Oregon Transit Taxes: The 2018 rates changed for Tri-Met and Lane County Metropolitan District Excise Taxes. Pennsylvania State Unemployment Tax: The 2018 employee percentage rate and wage base changed. Rhode Island State Income Tax: The 2018 withholding formula and wage base limits changed. Rhode Island Temporary Disability Insurance: The 2018 withholding formula and wage base limit changed. South Carolina State Income Tax: The 2018 withholding formula and wage base limits changed. The 2018 tax update has also brought updates in the limits of State Unemployment Wage 2018. For the list of state unemployment wage limits for 2018 and details on how to apply the limits for your state, you can contact the Sage customer support team or land to the website. Payroll Tax Forms: The payroll tax forms are also updated by going to the Payroll Tax Form Selector window within the software. To get a notification you will have to choose a Federal or State form and click Next. In case there is an update, the next window to be displayed with an option to automatically update your forms. It is imperative and suggested to take all forms updates. Choose the 2016 form that you are willing and click on OK. In case you are using latest Sage 50 Payroll Solutions or Business Care subscription, the next window notifies you to update your forms. Once the forms are updated, you can view the 2017 year-end forms listed in the Payroll Tax Form Selector window. Start Sage 50 software and open the company file. 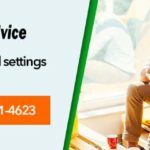 Choose Help option -> About Sage 50 Accounting. The installed Tax Update should be confirmed along with version number matches the version number . 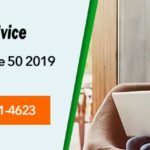 For any issue related to Sage 50 2018 January Tax update you can connect with contact accountingadvise.co. 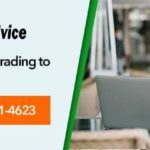 It is a reliable support agency employs a strong support team who are Sage experts and dedicated towards offering quick and feasible support in a very short time. Call to the Sage 50 toll free phone number 1800-961-4623 to acquire instant support. 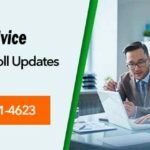 Next post: Sage Upgrade Error: Sage 500 Upgrade Utility Fails?